The Bimini Big Game Club Resort & Marina is perched seaside with views of tranquil bonefish flats and offshore mangrove islands that make up the small island chain of Bimini. Guest amenities include: a fresh water swimming pool with ample lounge chairs and deckside hammocks; patio and pool bar; complimentary WIFI, complimentary paddle boards and kayaks; complimentary game area with billiard table, access to a pristine sand beach and gold cart rentals. Neal Watson’s Bimini Scuba Center operates a 60-foot glass bottom dive boat well-suited to accommodate divers, snorkelers and sightseers alike. 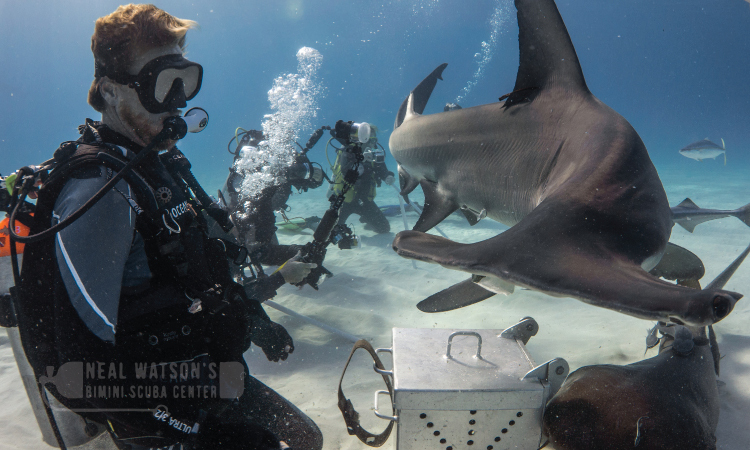 In addition to reefs, wrecks and wall diving, Neal Watson’s Bimini Scuba Center offers Great Hammerhead Shark, Wild Dolphin, Reef Shark and Stingray Safaris. PADI certifications and courses are also available. 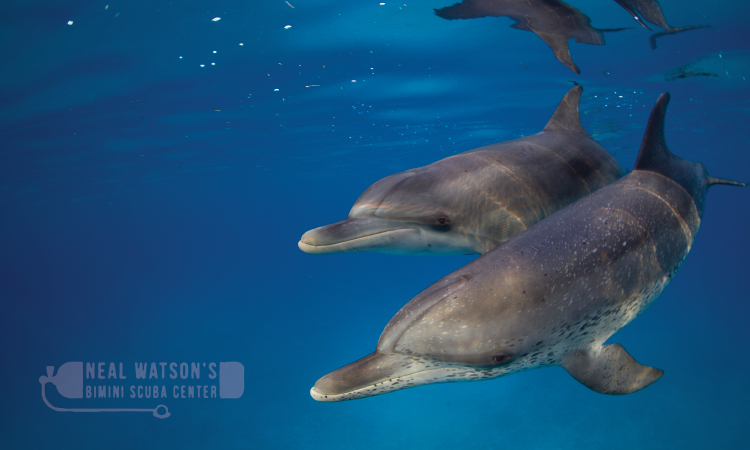 Many different package experiences are offered through the Bimini Scuba Center. One popular one is the Great Hammerhead Safari which are offered for a limited-time period (December- March) each year, and have limited availability so book now to secure your spot on one of the most spectacular dive opportunities available anywhere in the world! Wild Dolphin Safari where you head north past the Bimini Islands to the western edge of the Great Bahama Bank where the Atlantic Spotted Dolphins find us, and enjoy surfing our boat wake and often giving an impromptu acrobatic performance. 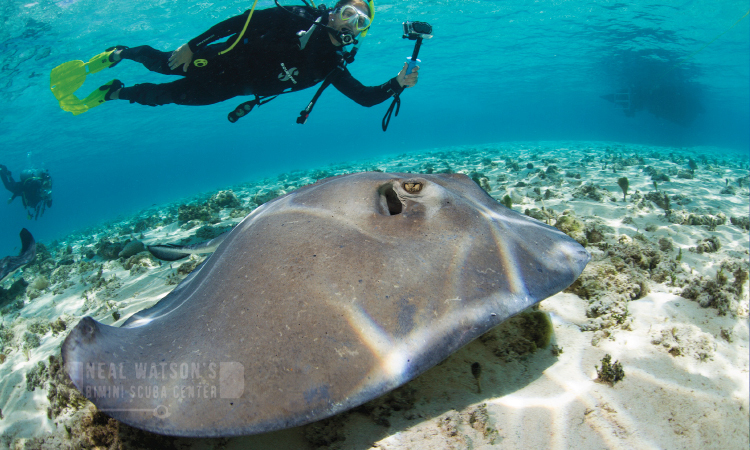 Stingray Safari, a great excursion for families and non-divers as well as a perfect place for divers to enjoy their surface intervals. 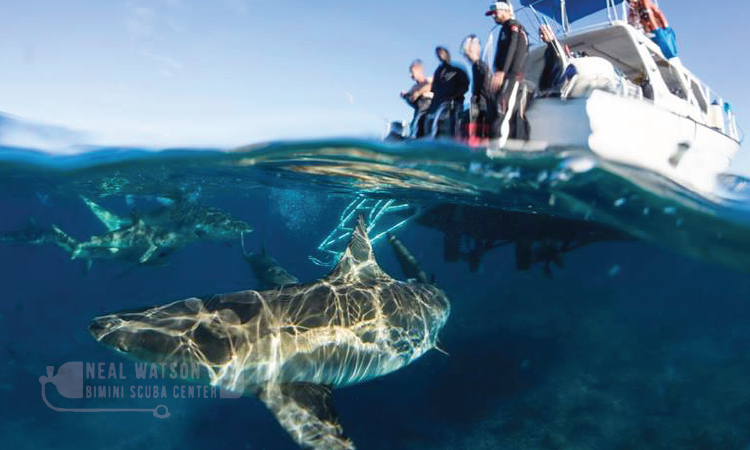 Reef Shark Safari, changing the way the myths depict sharks as dangerous predators. Once divers are in the water, an experienced staff member will bring down “chumsickle” and everyone will safely enjoy watching many different species of sharks!